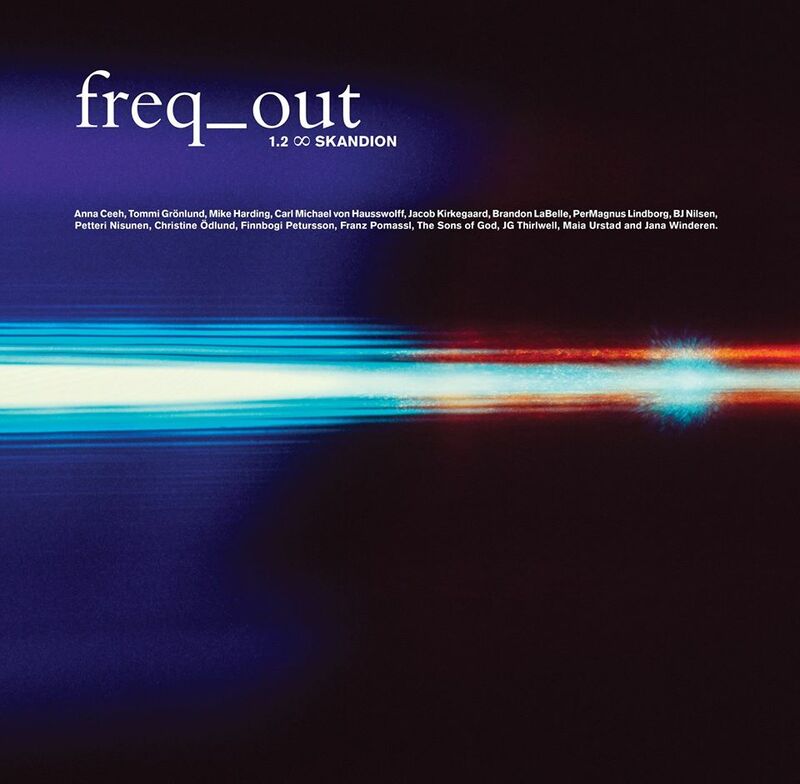 The new freq_out LP contains the studio mix and a live recording of the first permanent installation of a freq_out piece called freq_out 1.2 ∞ SKANDION. The multi-channel work is up and running in the entrance garden at the Skandion Klinik, a new hospital for cancer treatment in Uppsala, Sweden. 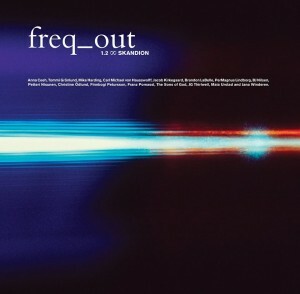 The freq_out project has existed since 2003, when Carl Michael von Hausswolff was invited to Copenhagen to invent and install a sound-art installation. He divided up the audible sonic register into 12 parts and asked 12 artists, musicians, composers, and architects to each accept one of the 12 parts and compose a sonic piece from it. The result became 12 compositions/artworks that were simultaneously played on 12 different sound systems in the art space of Charlottenborg, thus becoming one piece. Since then, freq_out has also been installed in Oslo, Berlin, Paris, Budapest, Chiang Mai, Kortrijk, Stockholm, Amsterdam, and Marrakesh. The artists who contributed to the work are Jana Winderen, Maia Urstad, Christine Ödlund, Brandon LaBelle, JG Thirlwell, Petteri Nisunen, Tommi Grönlund, The Sons of God, Franz Pomassl, Anna Ceeh, Mike Harding, Finnbogi Pétursson, BJ Nilsen, Jacob Kirkegaard, PerMagnus Lindborg, and Carl Michael von Hausswolff. It’s released on Sep 25 2015 by Ash International and you can order it from Touch in Europe or Forced Exposure in the US.